Gardening in Colorado changes depending on what region of the state you are in. In general, soil is tough and it can be hard to find the motivation to grow a sustainable garden. The steps required to start a garden may look intimidating, but after your first harvest it will all be worth it. First, make sure to call utility location services (811) to ensure no buried utility lines will be hit. Second, choose the perfect combination of seeds that you want to grow. Third, actually plant those seeds and watch them go! A vital part of any garden is having the perfect soil. Read below about how to turn that rough Colorado soil into gardening gold! As any Colorado gardener who has put shovel to dirt can tell you, the hard clay here is a challenge under the best of circumstances. But with much of the topsoil gone, it was near-impossible. Often, some digging and a couple of trips to the garden store is enough to get started. Even so, one thing holds true of both monumental and simple garden experiences: the soil continues to get better with time and effort. That’s important, especially with organic gardens, because building a loose, fertile soil is a major factor in garden success. For gardeners converting a spot in their yards, he suggests renting or buying a tiller to break up the ground if you’re planning a good-sized space or if you don’t have the time or energy to use a shovel. In Colorado especially, compost is the gardener’s friend. While you may compost food scraps at home, it’s hard for the average family to produce enough to amend the soil in their garden. You can buy compost, though, and Smith suggests adding compost to break up the soil and add organic matter. Till the soil after adding to mix the compost in well. Repeat with a couple of inches of compost each year. 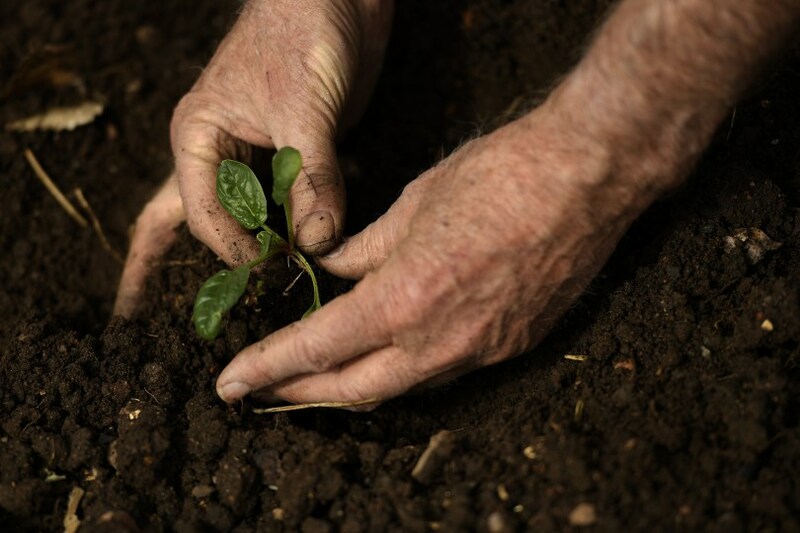 If the soil you start with seems particularly unpromising, add both purchased garden soil and compost. Smith suggests adding a granular fertilizer with the compost each year before planting and tilling it or digging it to root-depth in the soil. He also advises gardeners to use a water-soluble liquid fertilizer for the plants during the growing season. Gardeners may choose organic or non-organic options.